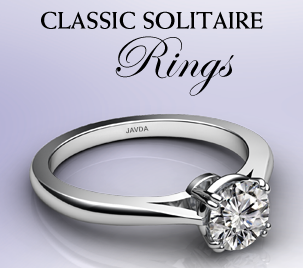 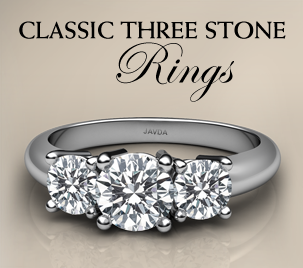 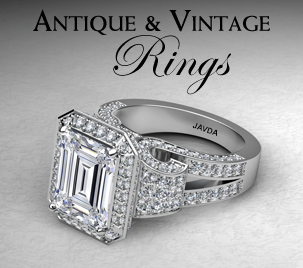 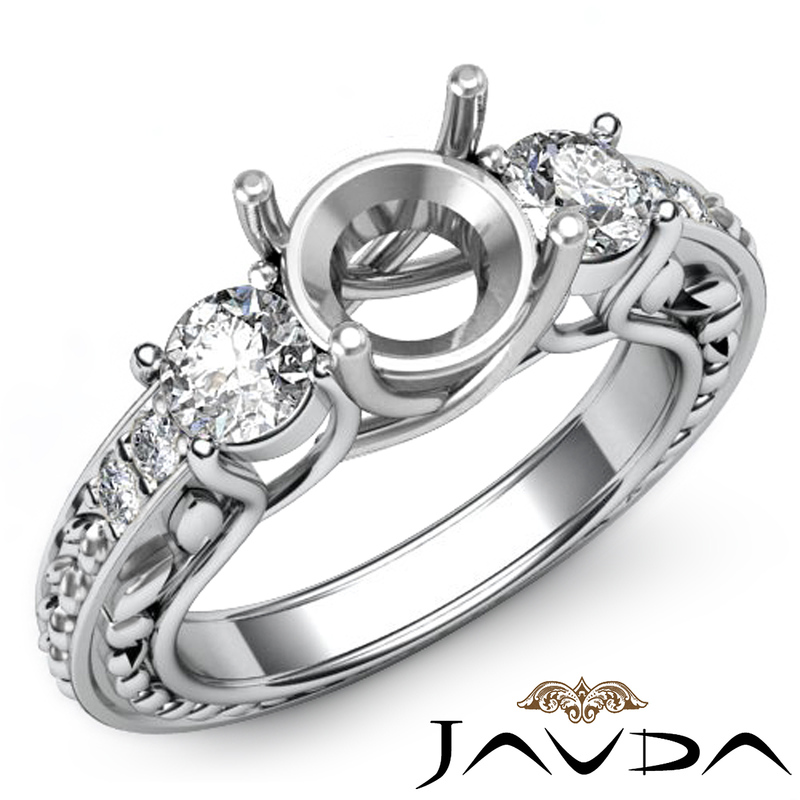 Beautifully set round diamonds in prong setting in this semi mount three stone diamond ring look ecstatic. 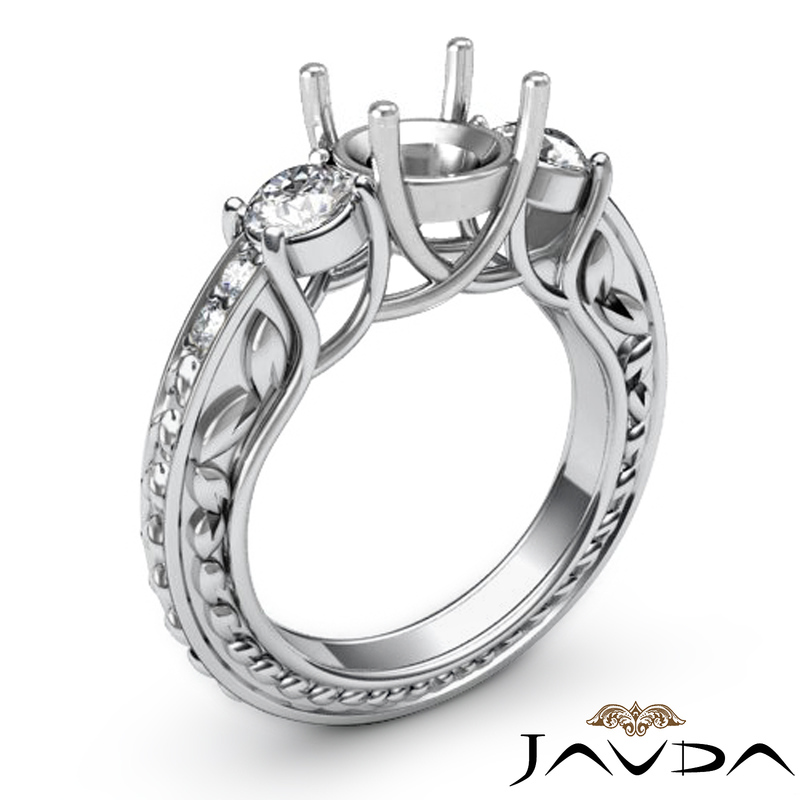 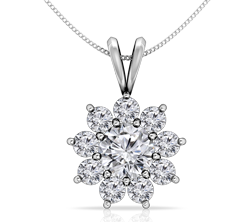 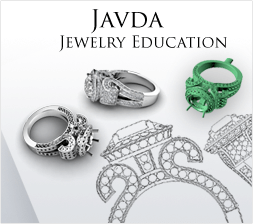 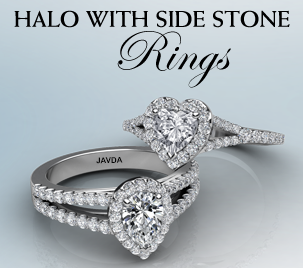 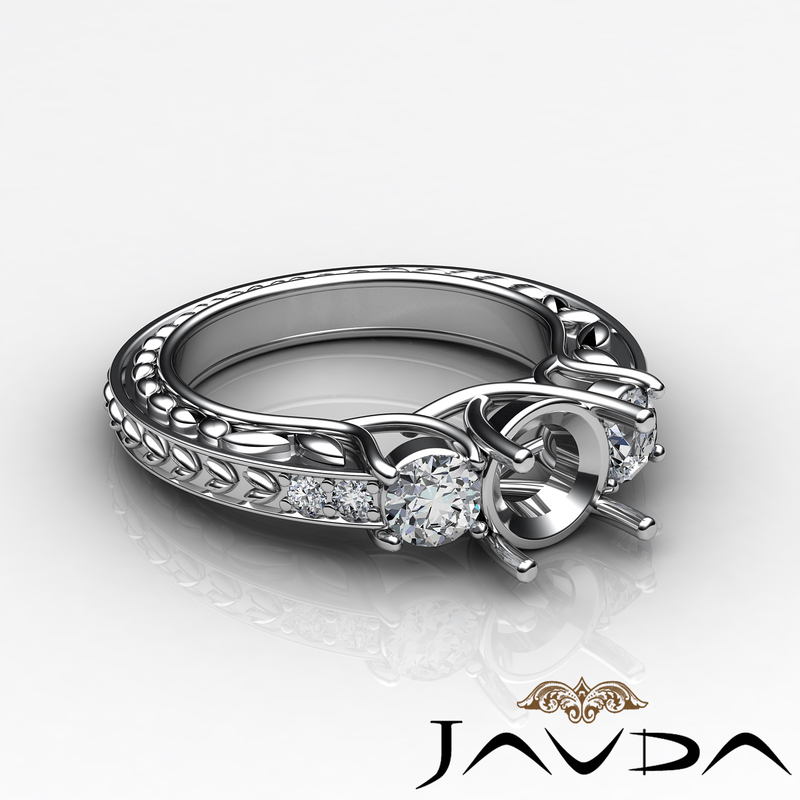 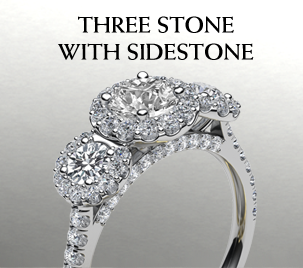 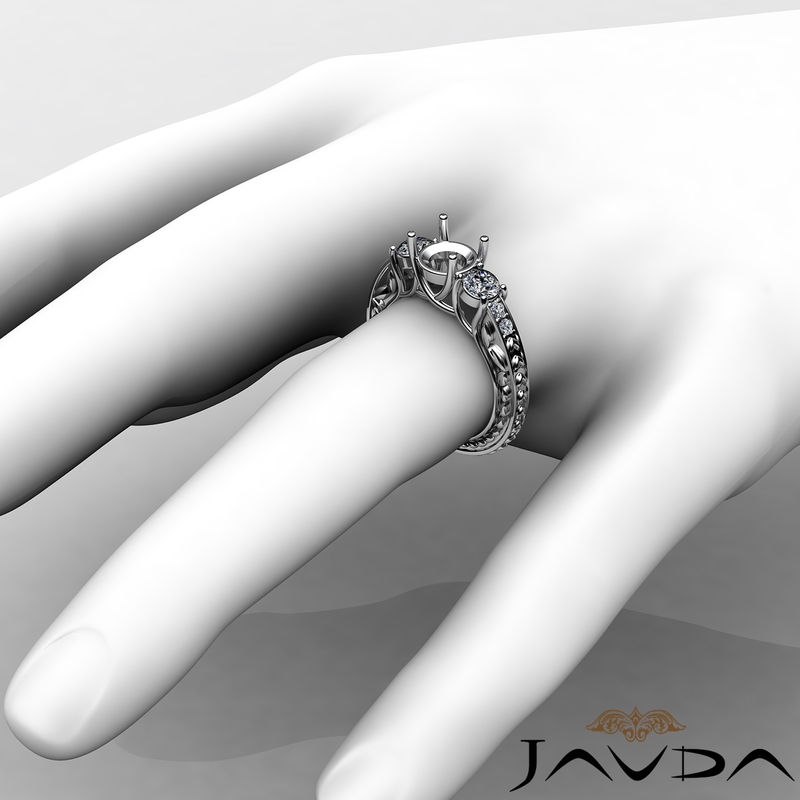 Smaller round diamonds and leaf motifs that highlight the ring look unique. 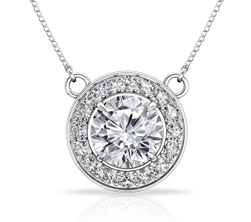 This 0.40ct. 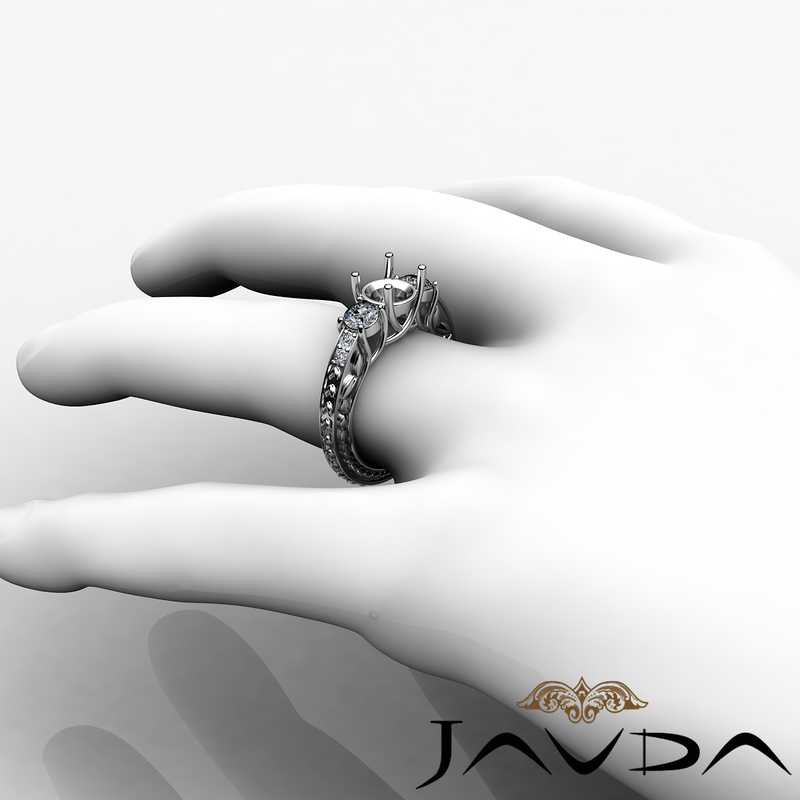 ring is made in 14K white gold. 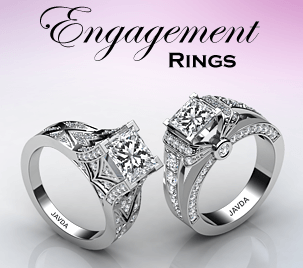 All Ring size Available . 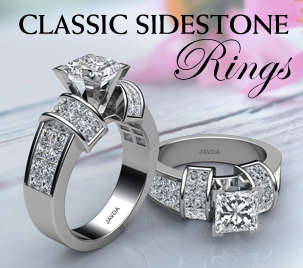 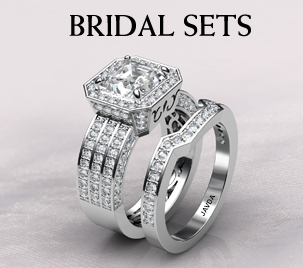 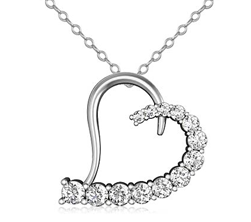 Price Varies with Ring size.